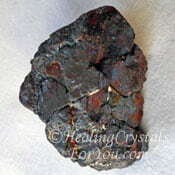 Alunite has a good grounding and stabilizing energy that helps to stabilize you both physically and emotionally. It is known as stone that is balancing to the yin and yang energies. This is a useful attribute to both aid your health and your relationships. Alunite Stone - the yin and the yang! 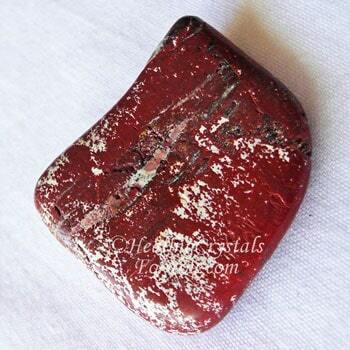 This is one of the healing stones that is useful to have in a room to balance the energy in your close environment and so improve your health. It has a good action to enhance creativity, and to particularly bring the creative aspects into play in your day to day life. 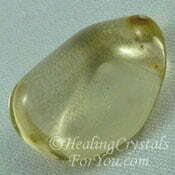 This stone is also called Angel Wing or Alum Stone. The color of these stones may be red with white, yellow or creamy pink and may contain larger or smaller amounts of colour depending on the piece. 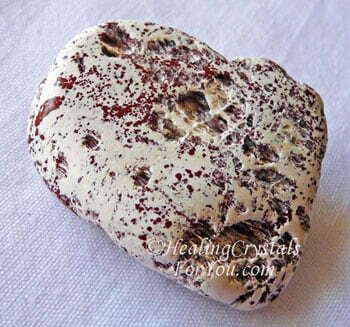 This stone naturally occurs as rhomohedric crystals or in a cubic shape. 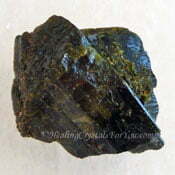 This mineral is hydrated aluminum potassium sulfate and has been mined since the 1500's for the manufacture of alum. It is not really known when these stones were first discovered as they have been in use since ancient times. Throughout history alum has been used for various purposes in a number of locations, including in Ancient Egypt, ancient China and in the Roman empire. The Romans used it when dyeing fabric as it was known to stabilize the dye. A large deposit was found at Tolfa near Rome in the fifteenth century. The name given to it in at that time was aluminilite but was later changed to the current name. Prior to this, the Roman army doctor Dioscorideas wrote about the medical uses for alum in his "De Materia Medica". In this book he writes about using it for stopping bleeding, as well as for its use to aid skin ulcers, dandruff and eczema. You can still buy it in sticks at pharmacies to stop bleeding, sold to men to stop bleeding while shaving. Alunite has been found in NSW Australia, Taiwan, Hungary, Tuscany, Italy where it is currently mined, and in a number of locations in the USA. 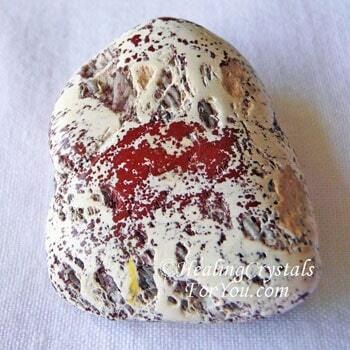 The natural alum stone can be used as a natural deodorant and it is sold for this purpose. While it is said to be an extremely safe deodorant for those with allergic conditions, it may not be as safe as it is reported to be to use as a deodorant, due to the high levels of aluminum in it. Why Would You Use Alunite? How Will It Help You? 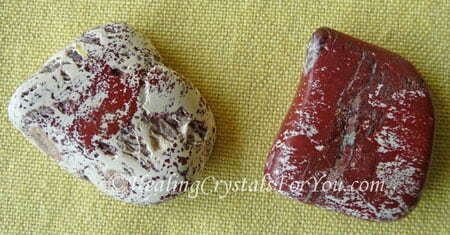 Like many red stones it resonates within the base or root chakra helping to ground you to the earth when needed. 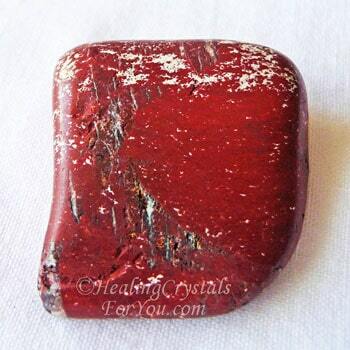 Use at the base chakra to balance yourself if you feel weak and lacking strength or stamina. 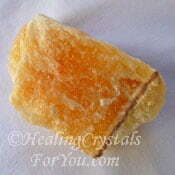 It has a good action within the sacral chakra, assisting your relationships and the growth of your creativity. It helps you to use your creative gifts within your day to day life. 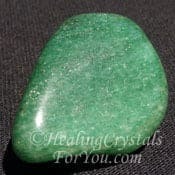 These stones resonate within the heart chakra and have a good energy to keep you emotionally balanced. It is of value to harmonize your male-female energies, as when the yin and yang energies are out of balance this can lead to illness. So it is beneficial to keep them in balance. In Chinese medicine the yin energy is said to be the female more emotional sensitive energy, bringing the cooling heart based attributes of nurturing and compassion. 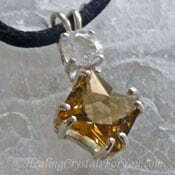 The yang energy relates to feeling grounded and to the male yang fire energy. Yang relates to the more logical mental aspect, related to confidently thinking about taking physical action. It is about impetus and forward movement in life, and those with higher yang often go flat out. Keeping yin and yang balanced is all keeping a complimentary vibration that ensures that your life remains stable and harmonious. Doing regular meditation, walking on the earth to fully ground yourself, eating a healthy diet and drinking fresh water are all helpful to balance your yin and yang. These days life is so busy and many people do not take the time to ensure that life is balanced. Many of you may be doing too much... constantly in your car or in front of your computer or other devices which can cause you to become out of balance and ungrounded. Did you known that being ungrounded can also cause health issues? If you are not sure if you might be ungrounded check this out... Are You Ungrounded? 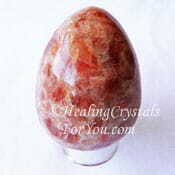 This crystal has a number of excellent healing properties and was used in the distant past to reduce body odor, and is still sold for that purpose. 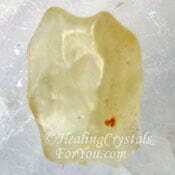 These days is known to be helpful for healing problems in the eyes and to assist excessive thirst and dehydration. If you feel that you may need help to create greater balance in your life harmonizing your male-female energies may be advantageous. 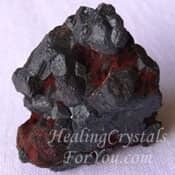 To assist the action of this crystal to help you to create a more balanced life, you may choose to combine it with stones that have similar properties. 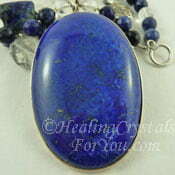 Use crystals such as Lapis Lazuli, Marcasite, Aventurine, Rhodochrosite, Yellow Labradorite, Hematite and Magnetite aka Lodestone. 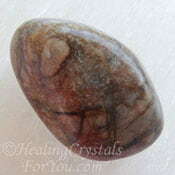 This is a beneficial stone to use to stimulate your creativity. 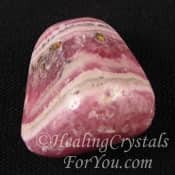 If you think you could benefit by enhancing your creativity, you may choose to use it with other crystals that are known to boost creative gifts. Specific stones you might choose includes Picasso Marble, Ilvaite, Orange Calcite, Libyan Desert Glass, Citrine or Sunstone.